Facial recognition has made some huge strides in recent years. 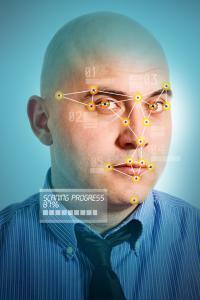 In fact, MIT reports face detecting systems have jumped in China and are used to provide access to facilities, track down criminals, track movement within a building, transfer money and a host of other things. It won't be long until this technology sweeps the world as it can provide increased accuracy in recognizing people and in speeding transactional flows. This technology and many others are key reasons why community banks must keep moving forward with their plans to grow and evolve. This is despite unprecedented levels of change in recent and upcoming months, according to a recent EY global banking study. The report, based on surveys with bank executives conducted in Nov and Dec 2016, points out that despite major changes afoot on the regulatory and political fronts, as well as a shifting interest rate environment, "2017 must be the year that banks move decisively to improve their profitability." Look no further than the last eight months, which have ushered in a new US President; a related shift in business, economic and regulatory policies; Brexit; and new European changes which are likely to have a ripple effect on even smaller domestic banks in the US. The challenges and uncertainty within the current state of banking mean all banks must keep moving forward. The good news is that strengthening profit trends this year are arguably already giving banks a big boost, along with improving consumer and business confidence. Despite promising shifts, respondents to the survey remained reserved about outcomes. Of the almost 300 global bank executives surveyed, just 11% said that they expected their banks' financial performance to improve "significantly" during 2017. Given this somewhat less-than-enthusiastic expectation, the global consultancy found three major priorities "reshaping" banks of all sizes and locations for the better. According to the survey, 43% of banks are working on simplifying or restructuring their business operations; another 39% are creating partnerships with so-called "industry disruptors" including non-bank fintech companies in lending and payments; and 24% said they are partnering or developing joint ventures with other financial institutions. These trends are increasingly being borne out this year by community banks as well, many of which are piloting new products or services. In fact, a 2016 bank survey by MergerMarket of community bank executives finds 84% had met with a potential fintech partner about working together. These developments also fit in with the five over-arching trends that EY sees being embraced by successful banks in 2017, according to its own report. These are: reshape their business by setting a clear strategy and consistent structure; control operations through major lines of defense; protect the bank by minimizing internal and external threats; optimize the best technology to drive better efficiencies; and grow the bank by investing in staff and technology to be innovative. Although you may not be looking to restructure your bank or invest robustly in new technology just yet, you may want to see where you can focus your efforts for a competitive edge. Streamlining some processes and controls or hiring promising new talent may help. Recognizing that your bank's evolution is dynamic and warrants continuous review is a good way to start. Yields were up 2bp as investors eyed upcoming economic data. 1) First Savings Bank ($838mm, IN) will acquire The First National Bank of Odon ($99mm, IN) for about $10.6mm in cash (100%) or about 1.32x tangible book. 2) The Bank of Delmarva ($519mm, MD) will acquire Liberty Bell Bank ($150mm, NJ) for about $16.0mm in cash (30%) and stock (70%) or about 1.62x tangible book. The International Monetary Fund (IMF) reduced its economic growth forecast for the US from 2.3% to 2.1% in 2017 and 2.5% to 2.1% for 2018, indicating less expansionary fiscal policy was now expected. The NCUA is seeking to exempt credit unions with $10B or more in assets from the authority of the CFPB, arguing it puts unnecessary burden on them. The OCC in its most recent report indicates it is concerned about interest rate risk and regulatory pressures. The good news is that the OCC said the industry remains healthy. Research done by Spencer Stuart Board Services finds 85% of new board seats in 2016 were filled by CEOs, COOs, or presidents. The Census Bureau reports the top 10 largest states in population from 2015 to 2016 are: CA (39.2mm), TX (27.9mm), FL (20.6mm), NY (19.8mm), IL (12.8mm), PA (12.8mm), OH (11.6mm), GA (10.3mm) and NC (10.2mm). All told, this group of states represents 51% of the US population. A Deloitte survey of global CIOs finds the top business priorities are: customers (57%), growth (49%), performance (48%), cost (40%), innovation (35%), regulations (17%), talent (15%), and cybersecurity (10%).